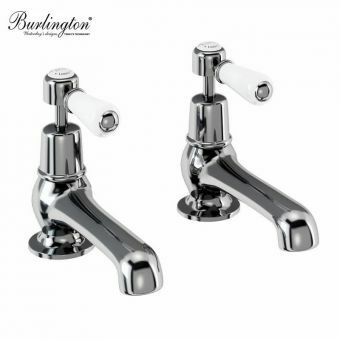 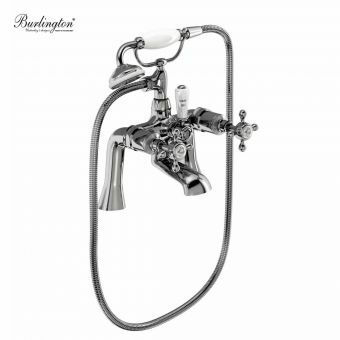 Burlington Taps and Mixers have an air of distinction about them, apparent upon first sight and reinforced when used. 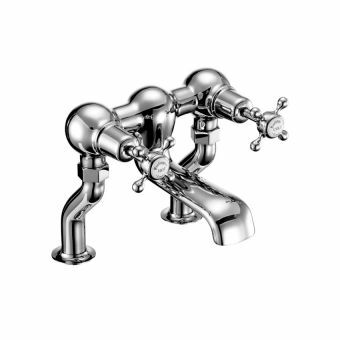 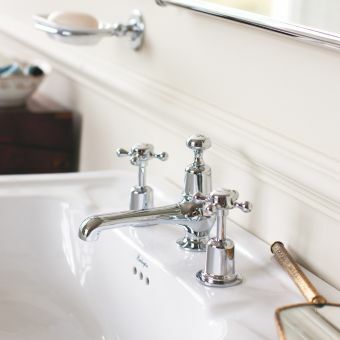 Lovingly recreating the fluid, architectural style of the turn of the last century, these pieces are right at home in the traditional interior.Created with solid brass bodies and coated with a protective chrome finish, these taps and mixers capitalise on the improvements in materials and manufacturing, while adhering to the design ethic of period style elegance. 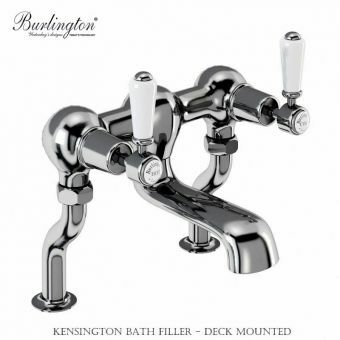 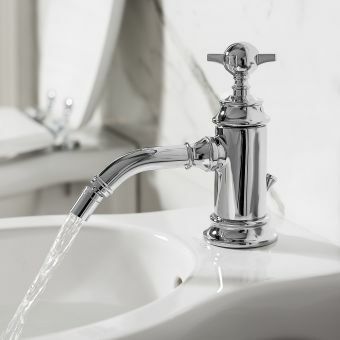 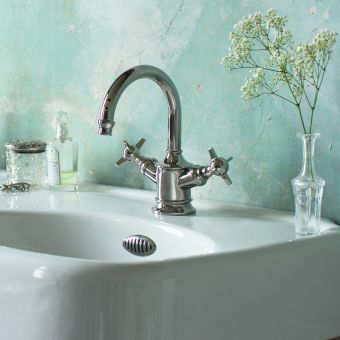 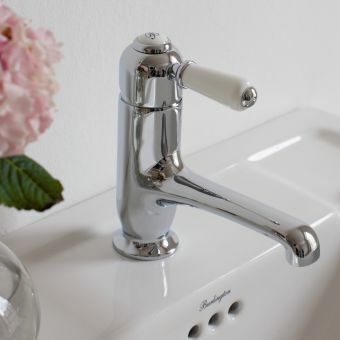 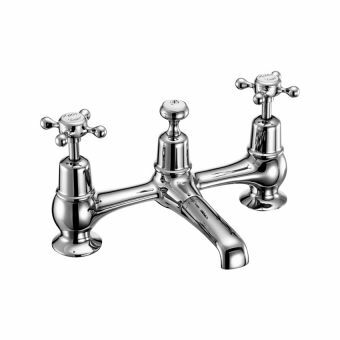 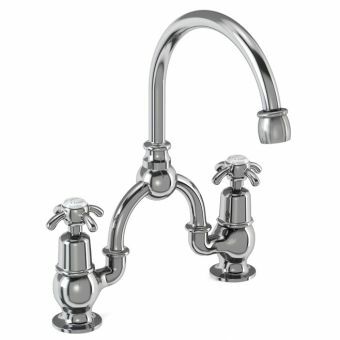 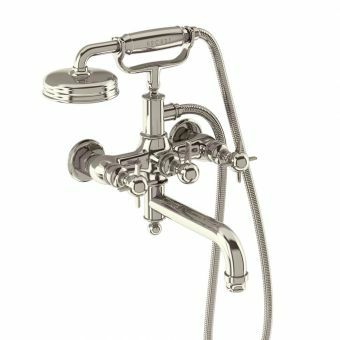 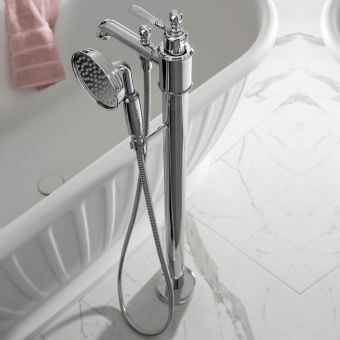 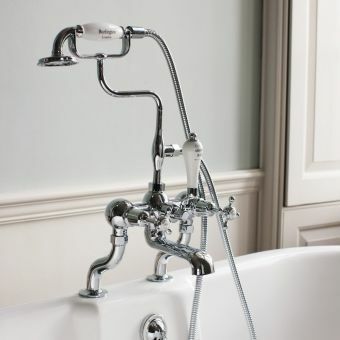 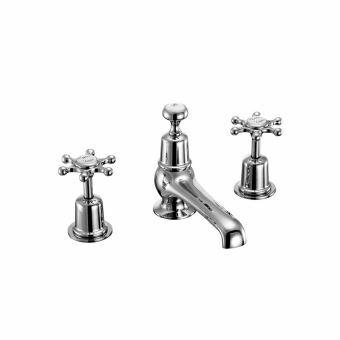 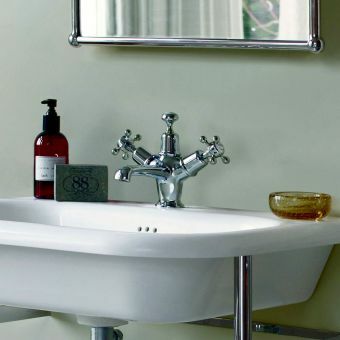 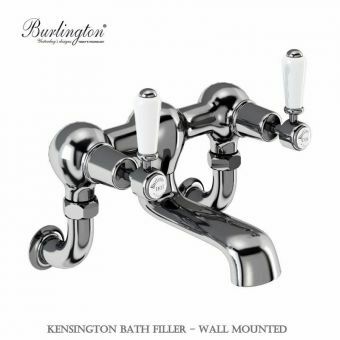 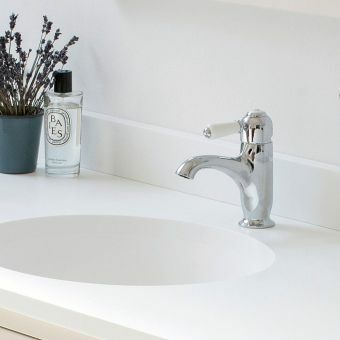 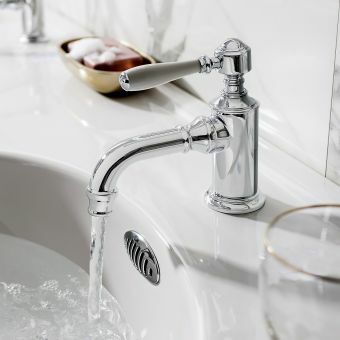 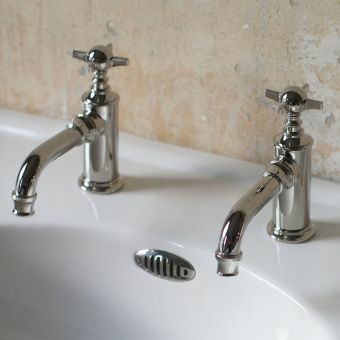 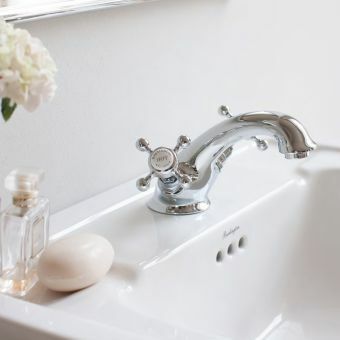 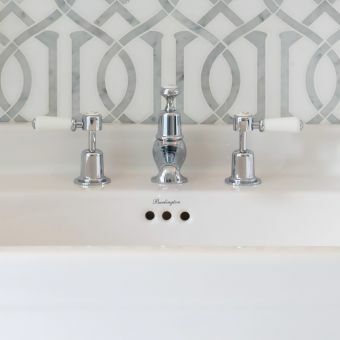 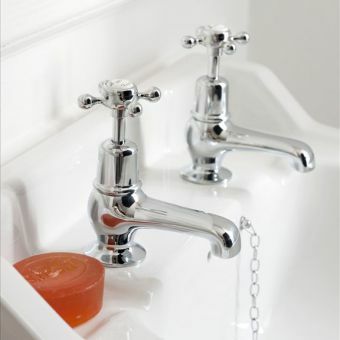 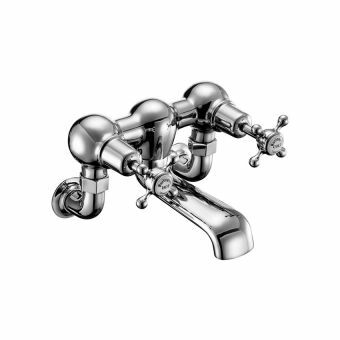 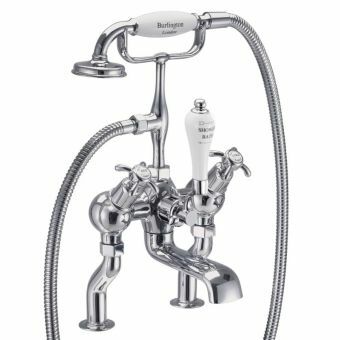 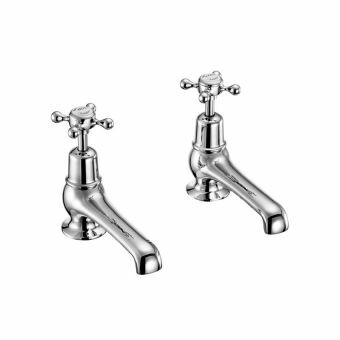 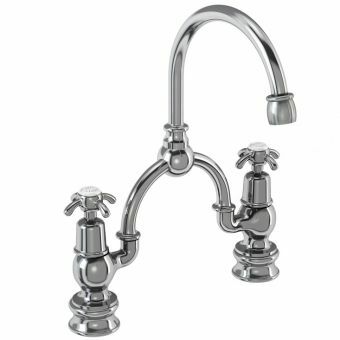 Burlington Kensington is a prime example of the sophisticated tap range, complete with white lever handles, ceramic hot and cold indices and a smooth action befitting of its appearance. 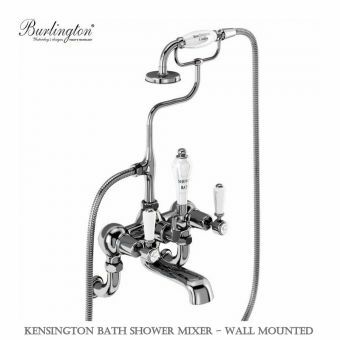 Wall and deck mounted bath fillers, with options for integrated shower sets and diverters, are the perfect accompaniment to the luxurious bathing space. 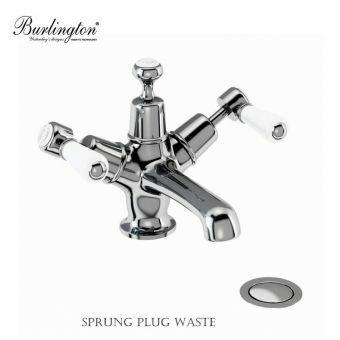 Backed by the Burlington guarantee, these fixtures are built to last, and with their evergreen appearance it is highly unlikely that they will need replacing. 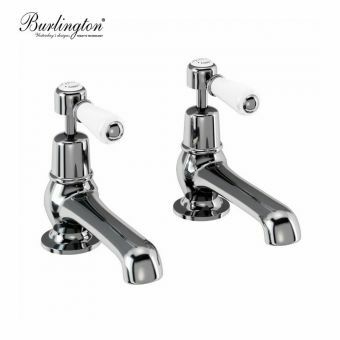 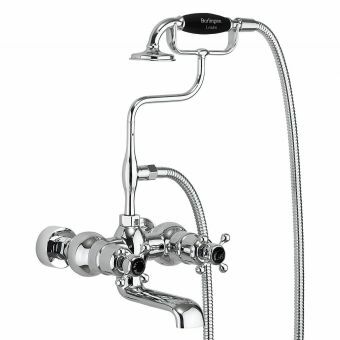 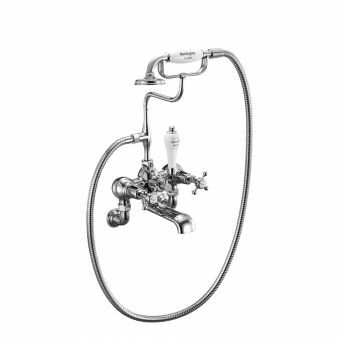 Compatible with the baths and basins within the Burlington range, these mixers and valves match their sister products naturally.